In the last two decades, the wireless arena has witnessed the emergence of an astonishing number of technologies which play a part in the definition of new wireless systems. Driven by the pressing capacity demand, the research community has developed several technological enablers. Fundamental technological building blocks that will be part of wireless systems in the near-future definitely include: Orthogonal Frequency Division Multiplexing (OFDM) modulation at the physical (PHY) layer, Multiple Input Multiple. Output (MIMO) systems, and a cross-layer (CL) stack design. While the benefits of OFDM have been recognized for several years, the real capacity improvement of MIMO antennae is still being debated today. As to the lastpoint, even if opportunities for CL have been pointed out for a long time, the impact on the actual legacy systems has not been noticeable, as investors are hesitant to implement the inherent design paradigm shift. 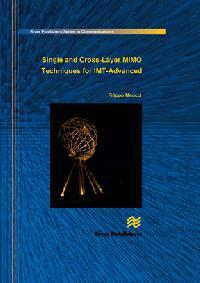 Single and Cross-Layer MIMO Techniques for IMT-Advanced will present some advanced MIMO techniques where adaptivity, cross-layer approach, and MIMO antennae are analyzed together to show a deep impact on the sum-capacityachievable over the wireless link. The introduction presents the functional requirements for IMT-A candidate systems and the relation between IEEE802.16 and LTE wireless access networks. Then, in the first part, adaptive strategies are analyzedseparately at the PHY and Medium Access Control (MAC) layers. 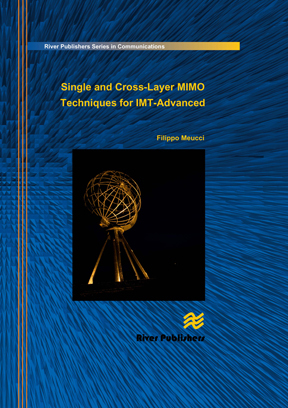 The second part presents an evolution of the previous approach, providing a cross-layer MIMO-ARQ protocol, where adaptive MIMO schemes, namely SpatialMultiplexing (SM) and STBC Alamouti, are used with ARQ protocol. 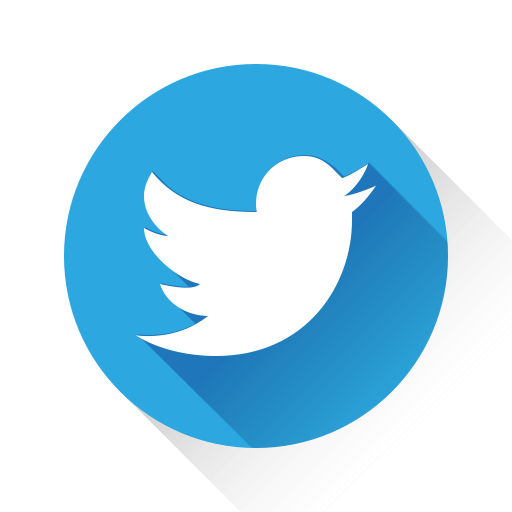 A Multiple User (MU) network is served in DownLink (DL) with a Round Robin (RR) scheduler; the design is ready to include more advanced schedulers. The ARQstate machine at the MAC layer is aware of per-antenna ARQ. The interaction between the ARQ and the PHY layer, with a per-antenna ACK, allows resource exploitation to increase with per-antenna ACKs, shifting from MIMO Signal Processing Gain to MIMO Protocol Gain with no need for Channel State Information (CSI) feedback. The absence of CSI feedback at the PHY layer is an important characteristic of the proposedMIMO-ARQ cross-layer designs since MIMO CSI feedback (when feasible) drastically reduces the network efficiency. The added degrees of freedom offered by MIMO transmissions can make the difference if correctly exploited both at the physical and medium access layers, in particular for overcoming the problem of low MIMO channel ranks. The advantages of the paradigm shift from signal processing gain to protocol gain - together with the modifications to be applied at the classical protocol stack - are discussed in the final chapter.